I thought I left student government back in high school, but it seems not completely so. This past week I attended the National Union of Students (NUS) conference in Brighton. As someone who is not particularly involved in our students union (LUSU) it was a headfirst dive into UK student government. I didn’t know what I was getting into, but I have attended enough conferences to feel prepared for the most part. And one of the first things I realized was that Girls State and Girls Nation have made any sort of event that discusses policy and uses parliamentary procedure so much easier. Amendments, parts, motions, its all easy to follow if you spend enough time practicing government. The second thing that I realized is that when they say “Union” they mean it in the workers union way that in the US we wouldn’t. Sometimes I forget that the ‘liberal’ side of the UK is farther left than anything in the US. It was interesting to watch how politics (not just student politics) impacted the discourse of the event and the actions that the NUS takes. One of the, in my opinion odd, things that UK Student Unions do is instead of students holding the officer positions, the position is a full time job held by students taking a year off of their degree, or after they graduate. While some offices are held by ‘part-time officers’ the major ones, i.e. President, and the VP’s of various areas, are ‘Full Time Officers’ or FTOs. This of course applies to the NUS national officers, many of whom are years out of university. This led to one of the main arguments that rose up over the course of the conference and will be fought over in what is turning into a major division of universities and unions across the country. Students feel that the NUS is not representing them well, as its political, its leaders are detached from the reality of students, and students have little influence on the issues the NUS takes up over the year. With a number of Student Unions (SU’s) and student groups calling to split from the NUS, it will be interesting in the coming weeks and months to see if the division between local unions and the national body grows, or dies off as students get caught in the rush of exams and end of term. That itself may be a key argument behind staying in the NUS, and a major point behind FTOs. What was probably the major point of division in the conference was the election of a new president, which seemingly tore the organization apart. Malia Bouattia, the president-elect and first Black Muslim president of the organization became a divisive figure in a storm of accusations of anti-Semitism, the usual racism and islamaphobia, and her more extreme approach than current president and main opponent, Megan Dunn. Going into the conference with no background knowledge of either candidate, the media and discussion around the candidates was overwhelming, and difficult to sort. And as much as SU’s threat to leave may tear the NUS apart, it seems just as likely that internal division between the ‘old’ and ‘new’ factions may be the bigger threat to the organization. The highlight of the conference was the success of a motion for a full time Trans office and an autonomous Trans campaign to better support students across the country who have been under represented in not just major campaigns, but with the LGBTQ+ liberation campaign. The motion passed in a nearly unanimous vote, an amazing moment of unity in a conference that had felt divided and tense from the beginning. Though I plan to stay fairly un-involved in Student Politics, the conference was definitely an incredible learning experience. It highlighted a couple of major things for me. 1) Our student body is so disconnected from bigger issues and campaigns. Despite the response from so many other university’s students about being connected to the NUS, I think we got maybe one tweet about it? 2) We spend time bemoaning “LUSU” with no understanding of the structure, or what we mean. 3) UK politics will forever confuse me, and I have no desire to get involved. 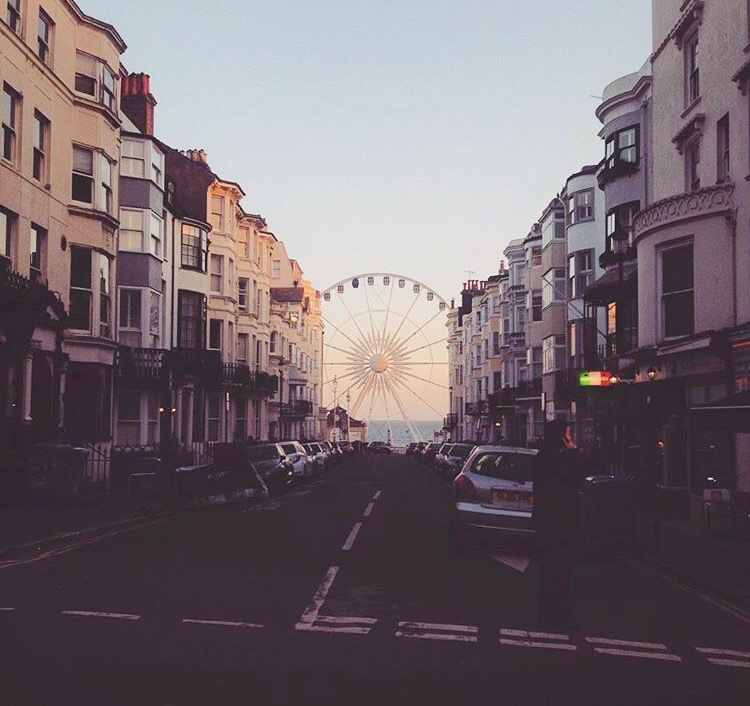 And 4) Brighton is really pretty. It’s a few days past the end of the month (aka my birthday) and I’m writing this on a train to London for Enactus Nationals. I’ve also been back in the country less than 24 hours and am lacking in sleep and feeling a bit ill. I’m trying to take some time to look back at what as honestly an incredible month, with some big highs, some really hard days, and what really feels like personal growth. This month began with the end of my trip to Romania, and ended with the start of a week in Lisbon with my family. I don’t know what else I could want in a month. March is always one of my favourite months. It’s Women’s History Month, it includes International Women’s Day, a whole bunch of birthdays including my own, and honestly it’s kind of just at a good place in the year. It’s the start of spring (also spring break, which would make any month better) and the countdown to the end of the school year begins. 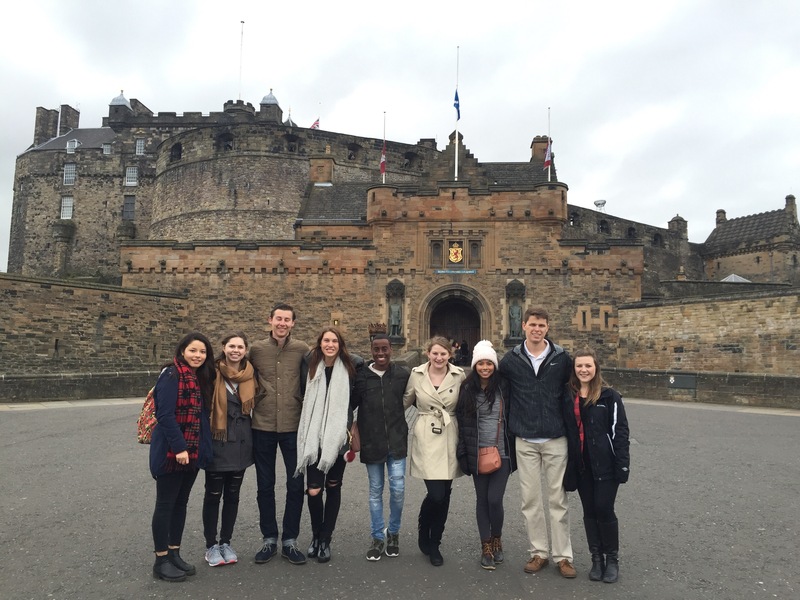 These were highs: the Romania trip, the success of our International Women’s Day events, the Human Trafficking Conference we held on campus, and of course the trip to Edinburgh and Portugal. Things were successful, projects and ideas grew. Things were incredibly fun, I hosted panels and traveled to great cities. March was a blast. March was also incredibly busy, busier than I really wanted in a lot of places. There were too many 12+ hour days, and not nearly enough days off. I feel like I never saw friends, and am a little surprised at the amount of school work that was actually done. I love being busy and involved, but things were incredibly hard this month. I spent a lot of time being frustrated about having to do things that I (technically) volunteer to do. Things that overall, I love. I can see that it’s because I have a tendency to over commit, and am very bad at delegating. I also know I have very high standards for myself, and applying those to everyone else isn’t always fair. I’m trying to use all that frustration as a ‘learning experience’ for the next few months, and in the new roles I am taking on. I have to enjoy what I volunteer to do, I need to work on delegating, and most importantly when I delegate, I need to be clear about what I expect. And I probably need to be a little less hard on everyone in my life, including myself. I mentioned at the beginning of this post that I felt like there was ‘personal growth’ in March, and I guess most of that comes from the big decision I made (explained in Being Selfish) about the role I would take on in Enactus next year. I had a lot of amazing support in making that decision, and I am ultimately so happy with it. The days around it were not so happy, and are a big part of why March was hard. It’s not all over, and there are a lot of questions about how things will go with the exec for next year. I can’t say I don’t sometimes, much less won’t in the future, regret the decision, but I know it’s important that I choose to spend my time doing things I love. And admin/business stuff? Not for me. So March was good. I’d sum it up as a good month, partially from the distance from the hard parts I have now. I’m trying to learn how to only do as much I SHOULD, not how much I CAN do, and while March was not an example of that, I’ve got some good plans going into Summer term. Thanks March for the adventures, the fun, and the chances to grow. Thank you for an amazing 19th birthday. I’ve got one last year as a ‘teenager’ and I’m pretty excited to see where I am this time next year. Okay when I said I would post about the food etc from my Edinburgh trip, I really did mean to post sooner. But the end of the month and the start of April slipped away from me. But look at this! Commitment! Execution! Actually blogging! Okay kind of. Here we go! – the first thing we ate in Edinburgh was at 10:30 at night, when it was the only place we could find still serving. Surprisingly, I would 100% suggest it, and would return without question. While the only thing I had was a slice of margarita pizza (essentially simple cheese pizza) it was an incredible piece of pizza. Ridiculously large, with a crispy thin crust, it was just what I look for in a slice of pizza. The rest of their menu looks incredibly, and it’s in a really good location just off the Royal Mile. – I’d like to blame the fact that I ate a salad at a burger place on being veggie, but there was a few veggie burger options. I honestly just really like salad. It was amazing, and the courgette (zucchini) fries are an absolute must. Bianca also vouches for their milkshakes, and I seriously regret not having one. – I snagged this recommendation from a number of ‘must eat’ places, and a friend who lived in the city for a while. It’s one of those small, all local produce restaurants that I live for. I had the spinach soup with lemon crime fraiche, and it’s a recipe I will be working to recreate at home. I did it with half of the mushroom and kale sandwich, which was less impressive. The friend I was with had their ham sandwich and proclaimed it the best sandwich she had ever had, so I would suggest that to any non veggie visitors. I also splurged and got some fresh squeezed orange juice, which is always amazing. – we grabbed some cupcakes to go, and while cupcakes are not my favourite dessert, I can say this was a good one. I got the raspberry Nutella, because red velvet is so overrated. I did eat it the next day (happy Easter to me!) so that may have contributed to its lack of wow factor. – I love ice cream. It’s not a secret, and I probably eat to much of it. Just kidding that’s not possible. But this is easily on the list of best 5 ice cream places I have ever eaten at. While their ‘hot chocolate’ float was tempting, it as sunny enough to go for a simple scoop of Pineapple and Rum sorbet on a cone. Though the flavours change daily, I don’t think you could ever go wrong with anything you order. I would suggest carrying it to the hill across the street, just down from the castle, if the weather permits. – no question the highlight of my coffee drinking in Edinburgh, The Milkman in just up the street from Waverley station and is worth any trip you can squeeze in. My go to order is a flat white (call me pretentious, I know I’m annoying) and this one was outstanding. It was smooth, and the foam perfect. I used the amount of walking I had been doing to justify getting a raspberry cheesecake brownie to go with it, and it was the pastry highlight of the trip. In addition the stunning food/drink, the interior of the shop is the stuff of dreams. The next time I’m stuck at that darn train station I know what I’m doing. 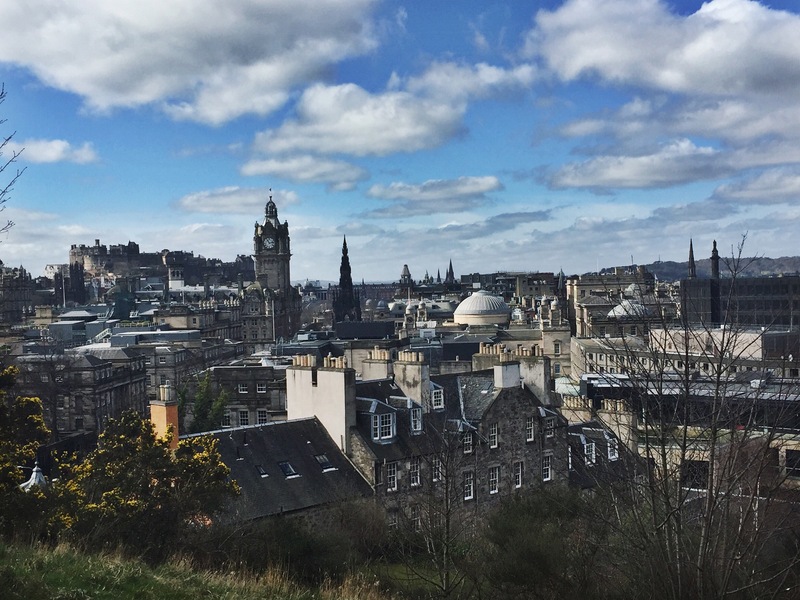 So there you go, my foodie feelings and suggestions for Edinburgh! Thanks to the trimester schedule of English uni, Easter break is a 4 week break in late March -early April. This means 4 weeks for travel, sleep, and exam prep. And after the chaos that was spring term, its a much needed break before exams and revision take over our lives. I started break with a trip a few hours north to Edinburgh, Scotland. A family friend studying abroad in Spain was headed to the UK, and it was a good excuse to visit a city I have heard amazing things about. This trip is split in two posts, Places and Things To Do, and Food, because Food is a priority. A “To-Do” List for Edinburgh is not hard to come across, and I think we hit the highlights of most. Not in any particular order, here are the highlights! 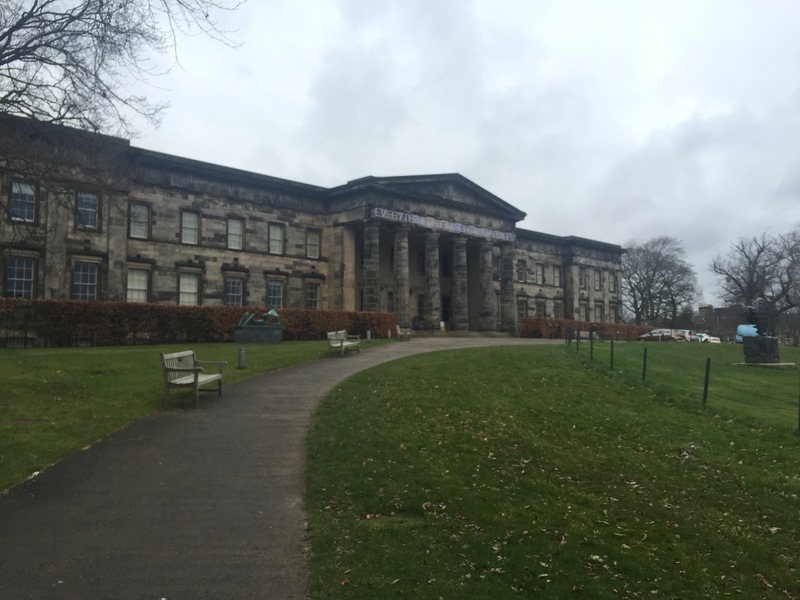 The gallery is in the middle of a neighborhood, about a 30 minute walk from the Royal Mile. If you like contemporary art, its a go to for sure. There were a number of beautiful pieces by Picasso and Matisse in Modern One, and some eye catching Dali in Modern Two. 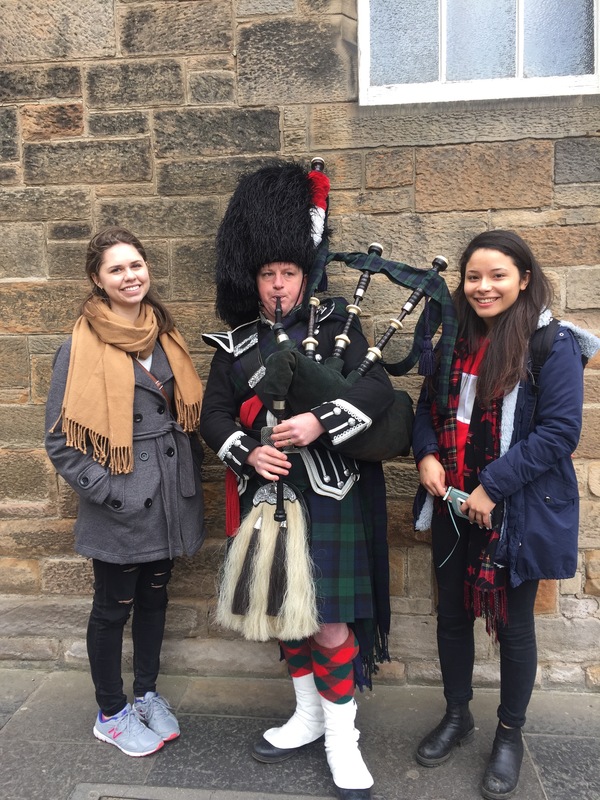 The Royal Mile is on the top of every website’s list, and it sounds like a lot more than it is. Its essentially a long road with the castle on the top of the hill and a number of old buildings, churches (St. Giles Cathedral is here) and an incredible number of tourist shops. Its a good starting point for the city, but its nothing incredibly unique. You can grab some wonderfully classic Scotland photos along the way though. On the top of the tallest hill you can find Edinburgh Castle (this is how you find all castles). Its actually incredibly pretty, though from the outside it looks like the fortress it was built to be. It is “the most besieged place in Great Britain and one of the most attacked in the world” being a sight of interest in a number of Scottish revolutionary movements. Its also £16 to tour, with no student discount, so we skipped the details and just looked at it. Also, Castle Rock gives you a great view of the city! Speaking of great views of the city, on the other side of the ‘Old Town’ all the way down Princes Street (don’t get that confused with the Royal Mile) is Calton Hill. Look for a small Athenian acropolis peaking above the skyline, and walk towards that. Built as the beginning of a memorial for those who died in the Napoleonic wars, and started the year after Napoleon’s defeat at Waterloo, the acropolis was never completed. However, the steps are quite fun to climb on, and the views from the hill top are gorgeous. There are two observatories on the hill as well, and I imagine at night it must be a beautiful place to stargaze. If you’re looking for more great sights of the city, Arthur’s Seat is for you. Unless you have the joints of an 80 year old woman like me, who’s knees don’t like to hike after a few days of traipsing through the hilly city. Its not an incredibly long hike, but its not an easy one. Suggestions are Sunrise or Sunset, as its supposed to be stunning over the city. 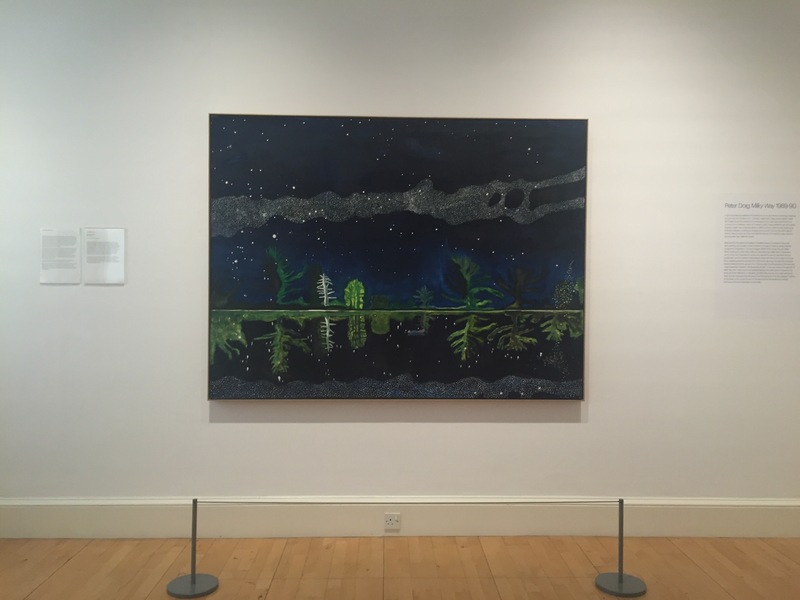 If you’re in the mood for some more classic art, the National Gallery is a good start. Its at the bottom of the hill, not far from Waverly Station and Scott’s Monument. Its pretty, and the plaid worn by the staff are entertaining even if the paintings aren’t. While there are a number of expensive ghost tours, including some that explore the underground tunnels, the free tour we took was actually incredible. More informative than scary, I would suggest doing it one of your first nights. Also, if you’re visiting in the spring, or honestly anytime, dress warm, the city is cold after dark! The Scottish parliament was dissolved in the early 18th century when Scotland ‘joined’ England and became Great Britain. (Whales is in there somewhere as well). However, in 1997 the UK parliament voted for devolution and the creation of a Scottish parliament (Whales and Northern Ireland also have their own governments) its essentially the UK version of states. Part of what makes visiting the parliament interesting to those who aren’t just huge government nerds is the building. While one would guess it would be housed in an incredibly old, important building, the Scottish Parliament Building was only completed in 2004. Designed by Spanish architect Enric Miralles, it is a stunning piece of modern art filled with meaning. To tour the building, you do have to go on an official tour that should be booked ahead of time. We got incredibly lucky on a Saturday and were able to take the places of some people who didn’t show up. The tour lasts about and hour, and is free. I would absolutely say it is worth it. One really unique thing about the tour is that you actually get to walk on the floor of the debating chamber, not something you can do at even the state legislature in the US. A food post will be going up, because there were some stand out places on this trip!